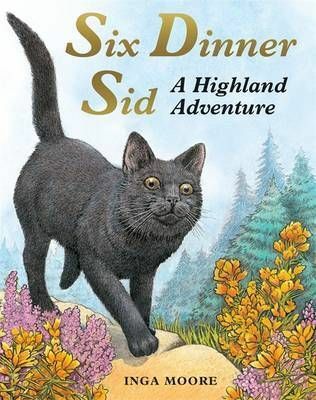 The companion title to Six Dinner Sid - the classic, Smarties award-winning, best-selling picture book. Six Dinner Sid has been settled at Pythagoras Place for some time - but what happens when all his six owners decide to go on holiday at the same time? How will Sid get his six dinners a day...? This Sid adventure has joined the original story and become a much-loved classic picture book. 'The appetite for Sid's cheeky charisma has never dulled.' - Bookseller Illustrated in Inga Moore's classic watercolour style, and told with gentle humour, this book is a must-have companion title to the classic bestseller Six Dinner Sid. Sid's first adventure, Six Dinner Sid is a Smarties Award winner and is in the Daily Telegraph's top 50 children's books of all time.